At what age do we become old ? Middle age is regarded by many to start at around 50, however just a generation ago most people believed that it started considerably earlier. Many 60 year olds (and older) continue to rock climb, run marathons and jump out of aeroplanes. Furthermore, fewer of us perform the sort of physically demanding work commonly done by our parents and grandparents when Britain was the workshop of the world. Changes in attitudes to age and life expectancy have meant that we now may expect our bodies to do more for longer. So what's normal in terms of aches and pains and is there anything we can do ? Firstly, the body starts to age at around 25 or 30 years old. Many people report that as they pass 40 they find difficulty in maintaining fitness as well as noticing that recovery from exercise takes longer. This is partly due to the body ageing but may also be due to the many compensations your body has made over the years to keep you mobile following injuries and mishaps. Eventually, repeated trauma to the body will take its toll, usually appearing as a reduction in flexibility, mobility and chronic stiffness, often in the lower back or neck. Still, there's plenty we can do to keep as flexible and mobile as possible. Regular mobility, which is built into your daily routine combined with rest between activities generally helps, as does a programme of stretching to keep you supple and flexible. Many people find that yoga is especially helpful. 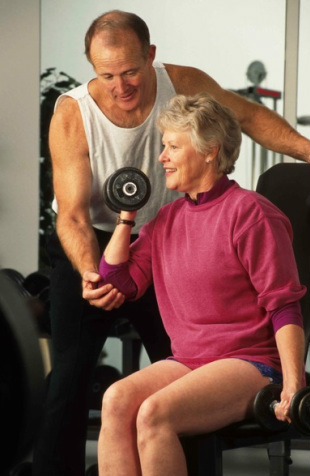 You may also need to modify your exercise regime to take account of old injuries and advancing years; think of this as a new challenge and an opportunity to learn something new rather than a sign of impending old age. Osteopathy can help with keeping you mobile by reducing muscle tension, increasing joint mobility and encouraging the flow of fluids around your body. Your osteopath will also be able to give advice regarding your activity levels. Many patients 'of a certain age' visit their osteopath on a regular basis (maybe every 6 weeks or so) for a check up and general treatment which helps to keep them supple and active.